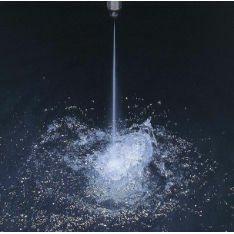 Cleaning nozzle / cooling / straight jet / stainless steel - MOMOJet C series - H. Ikeuchi & Co., Ltd.
Hydraulics - Pneumatics > Pipe, Tube and Fitting > Cleaning nozzle > H. Ikeuchi & Co., Ltd. Stand: H. Ikeuchi & Co., Ltd.
MOMOJet C series H. Ikeuchi & Co., Ltd.
• High impact solid stream. spray tip is retracted and purges foreign particles.